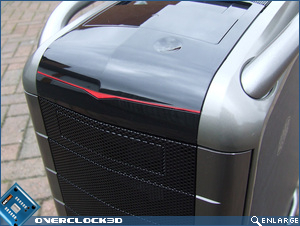 While Cooler Master have dropped the "Sport" part of the Cosmos' name since it was originally spotted at CES at the beginning of the year, the cases curves and air louvres are still akin to the looks of a race car. 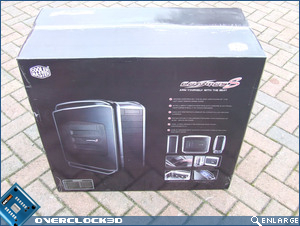 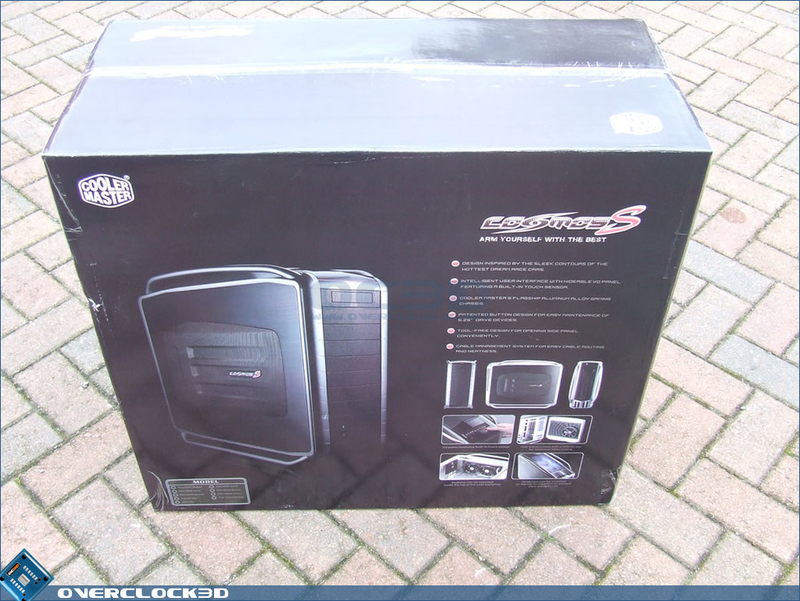 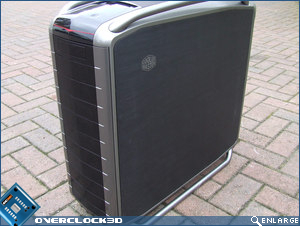 With this in mind, we dumped the usual Overclock3D photography booth in favour of the nearby car park (you liar, the case wouldn't fit in the booth - ed). 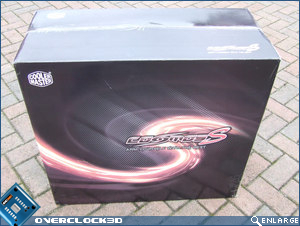 As you'd expect from any case manufacturer, the Cosmos S is shipped inside a large double walled cardboard box, with some pretty pictures and basic specifications plastered all over it. 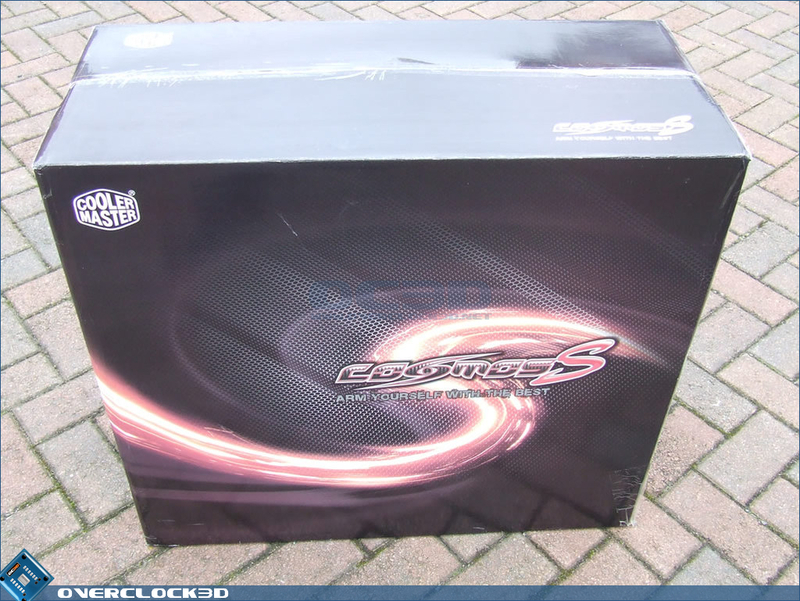 Whipping out my set of house keys and cutting through the Sellotape seal at the top of the box didn't reveal anything out of the ordinary either - just the usual Styrofoam molds that get a bit messy if you accidentally break it. 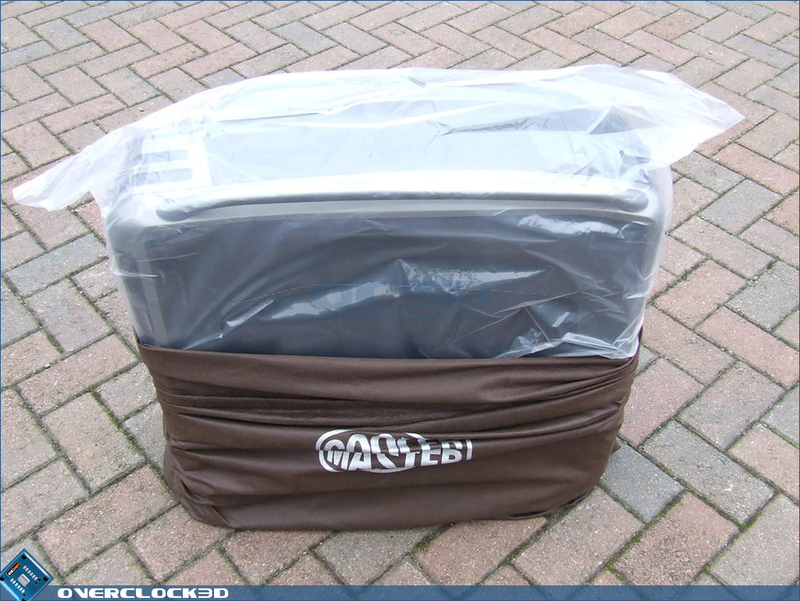 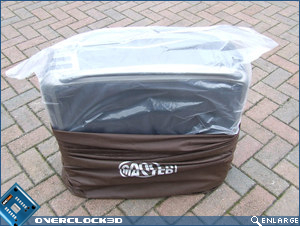 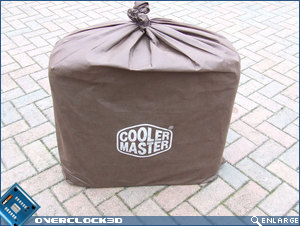 However, rather than being confronted by the usual clear Polythene bag that makes getting your brand new case out of the box so tricky, Cooler Master have opted for a rather rugged brown sack. 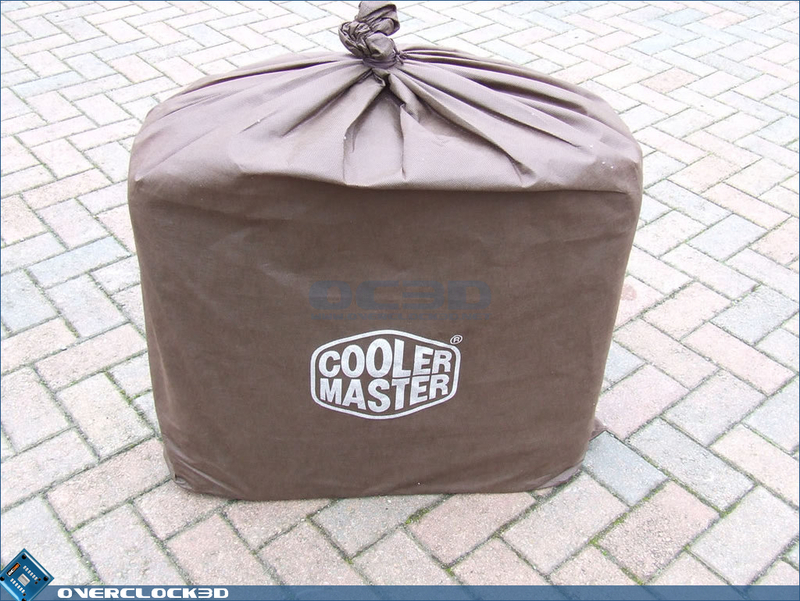 This meant that all we needed to do was lift the case up by the knot in the middle of the sack and take it out of the box; avoiding any of the fear associated with Polythene bags ripping and a 13kg case falling to our feet! 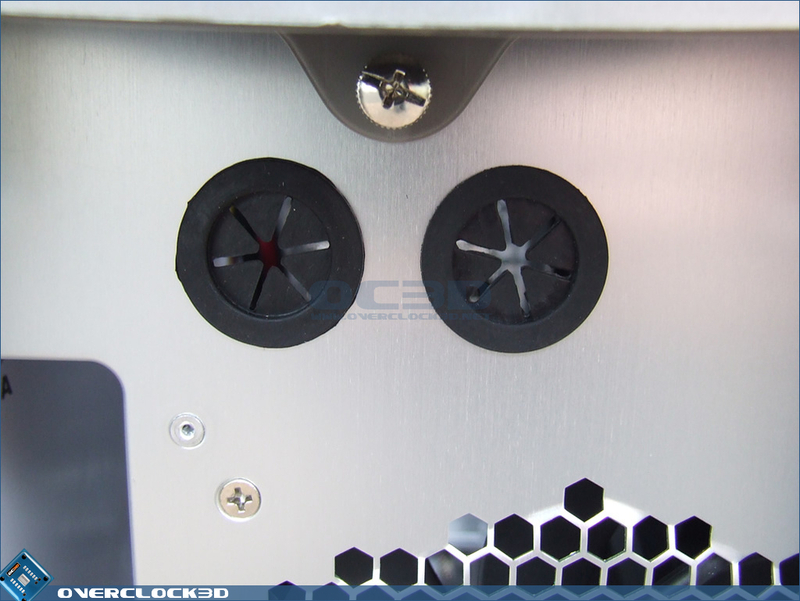 Starting around the front of the case we can see that the Cosmos S has certainly borrowed a lot of its design from its elder brother; the Stacker. 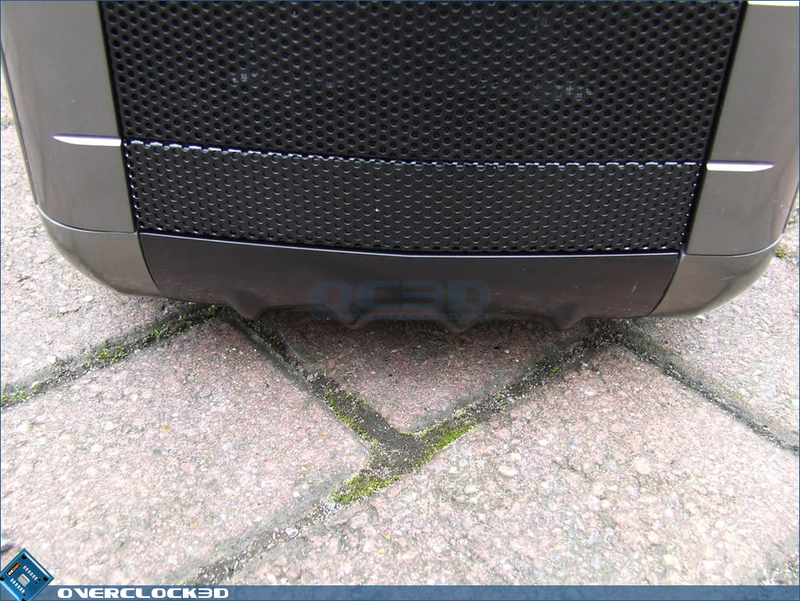 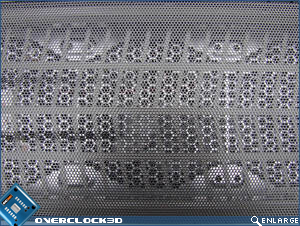 A total of ten 5.25" bays are on show, each with their own meshed grill and fabric filter. 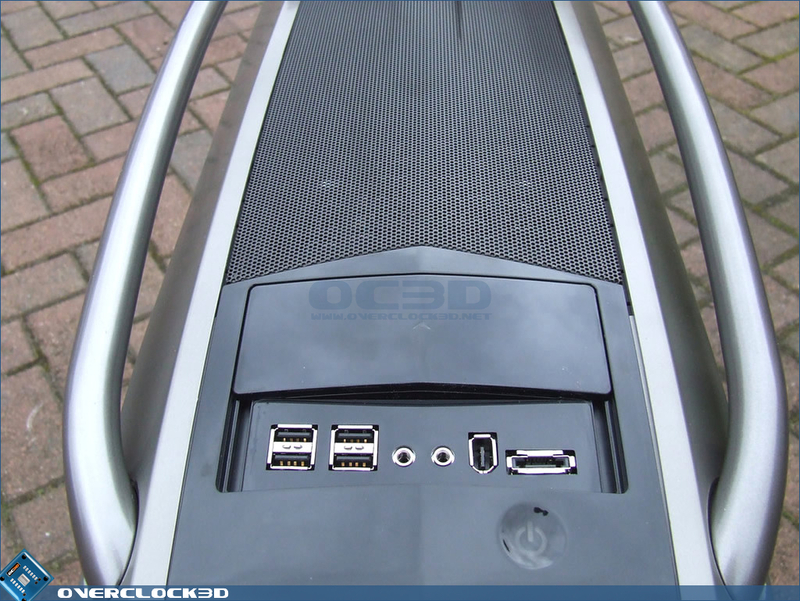 Three of these bays are taken up by the case's hard disk rack, leaving the remaining seven for those of us with a lot of DVD-RW drives! 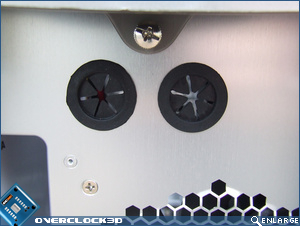 Any Stacker owners reading this review will remember just how much of a pain in the backside removing the drive bezels was. 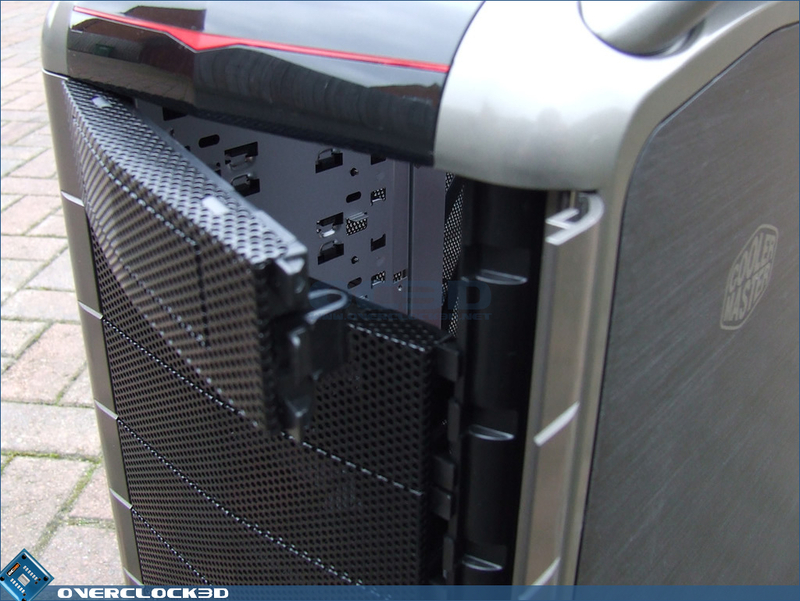 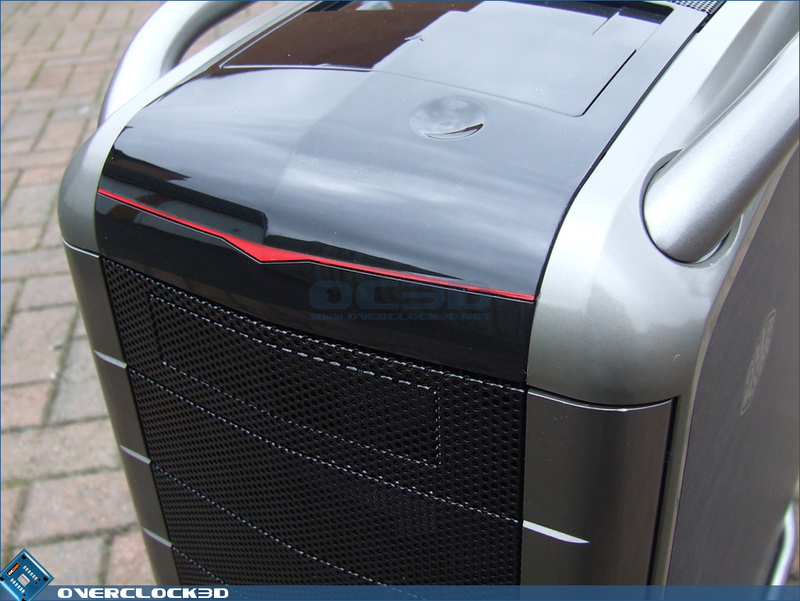 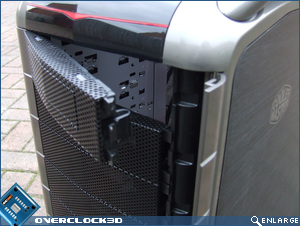 Thankfully, Cooler Master have added a hinged door at the front-right of the case, which can be opened allowing for easy removal and re-installation of the bezels. 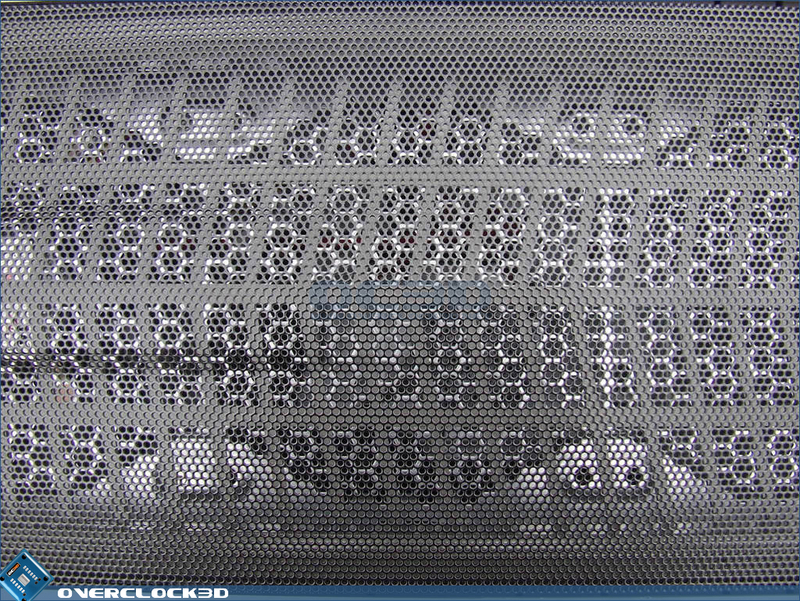 The top of the Cosmos is where things really start to get exciting with a total of three 120mm fan grills partially stealthed underneath a meshed cover. 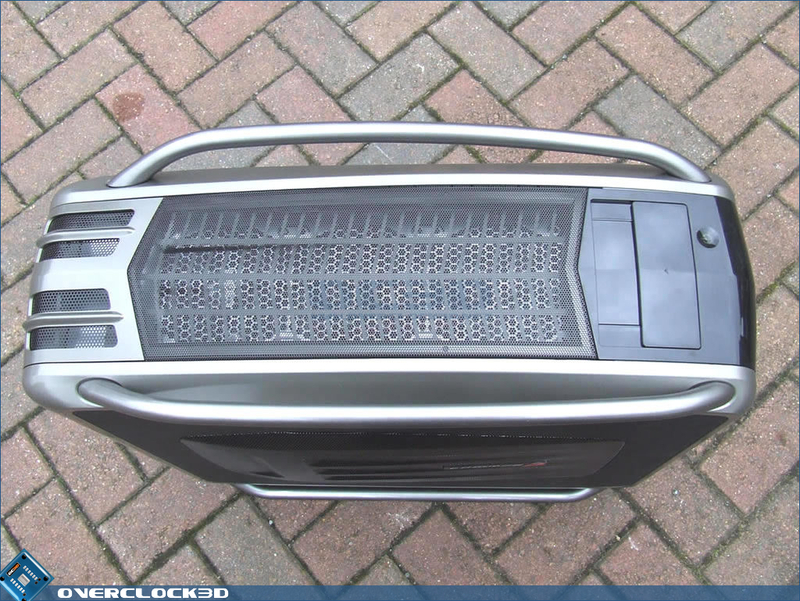 Could this be one of the first (readily available) cases in history to support a triple radiator? 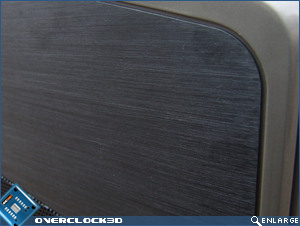 We'll find out in just a sec. 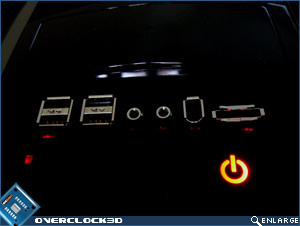 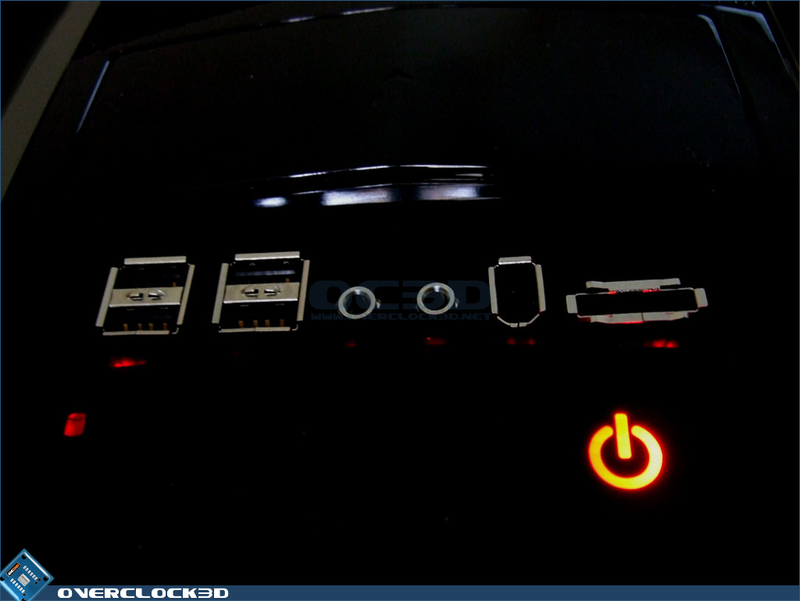 Cooler Master have also given the power and reset switches a rather nifty makeover. 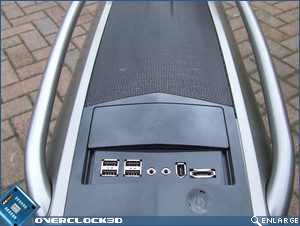 Gone are the usual "clicky" style switches in favour of touch sensitive illuminated areas of the top console. 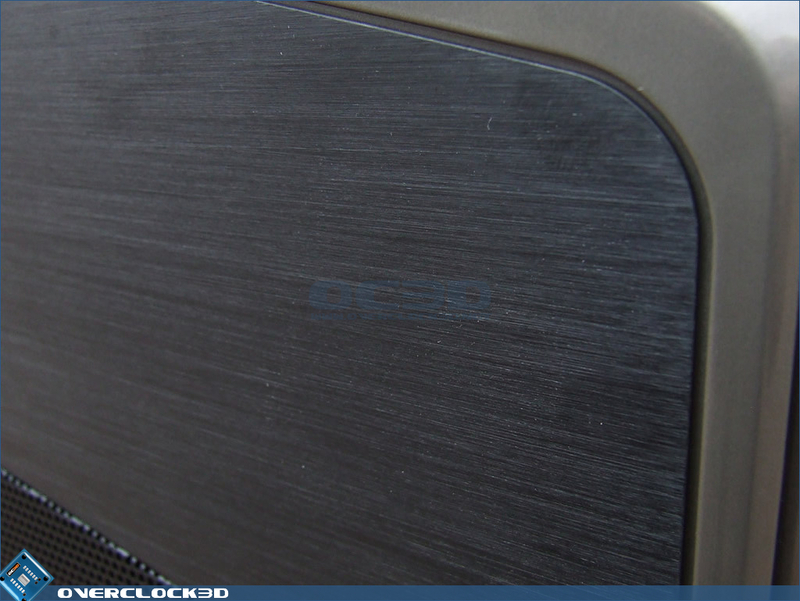 This most definitely adds a certain "wow" factor to the case, but at the same time also adds a lot of nasty smudged finger prints. 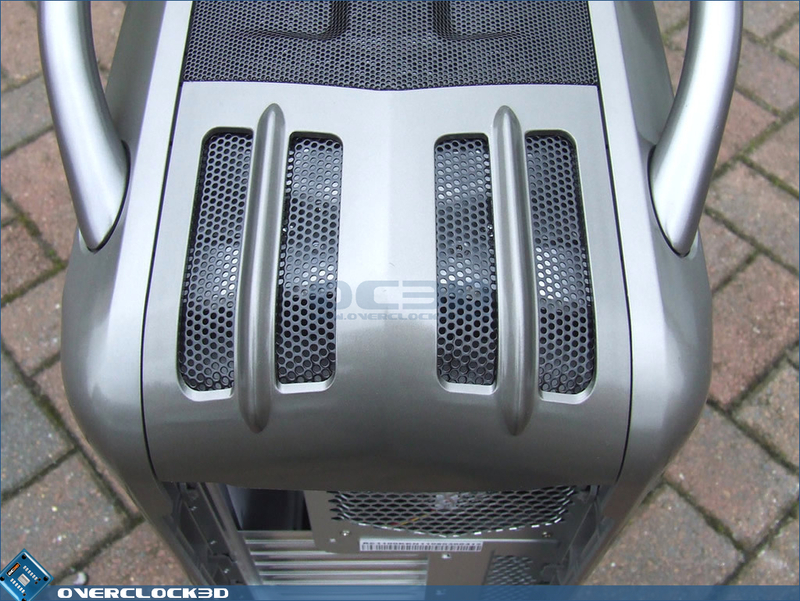 Both side panels are made from heavily brushed 1.5mm thick Aluminum which is a nice departure from the razor thin, ultra flimsy aluminum sheets used on a lot of the mid-range Aluminum cases. 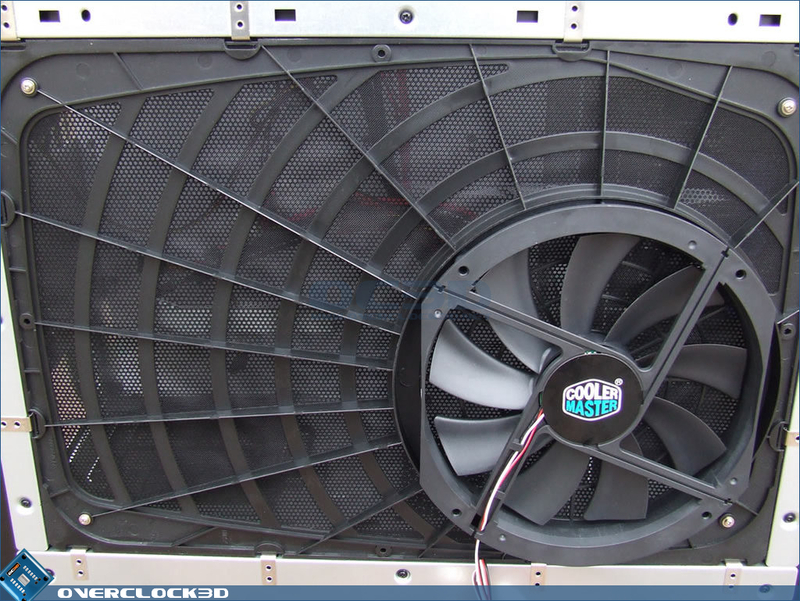 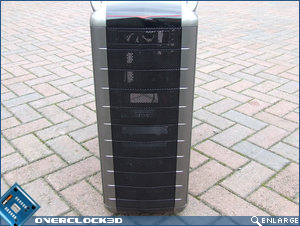 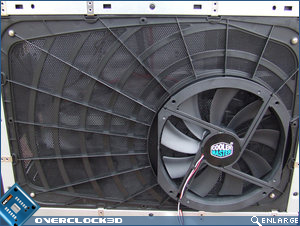 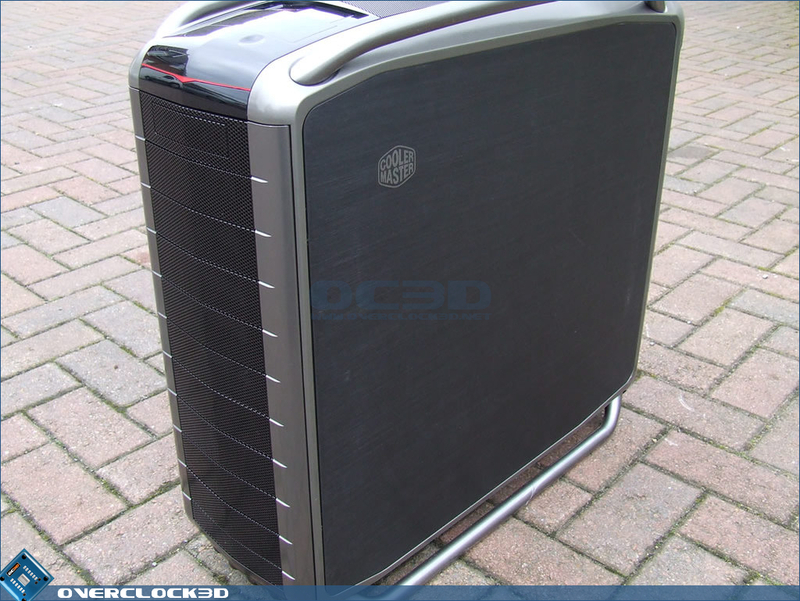 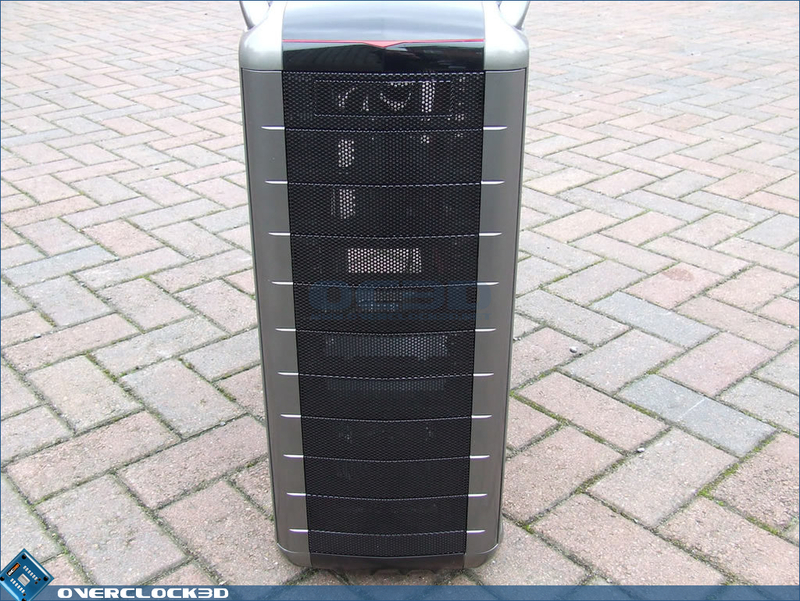 As we've already mentioned, the left-side of the case features a 200mm fan, which pushes a whopping 150cfm of air out of the case. 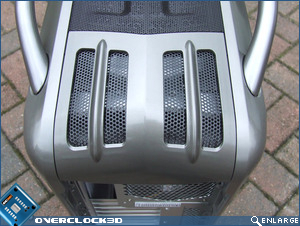 No overheating graphics cards here! 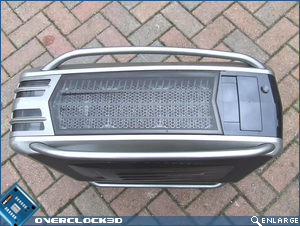 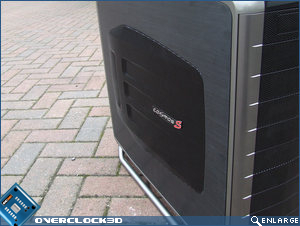 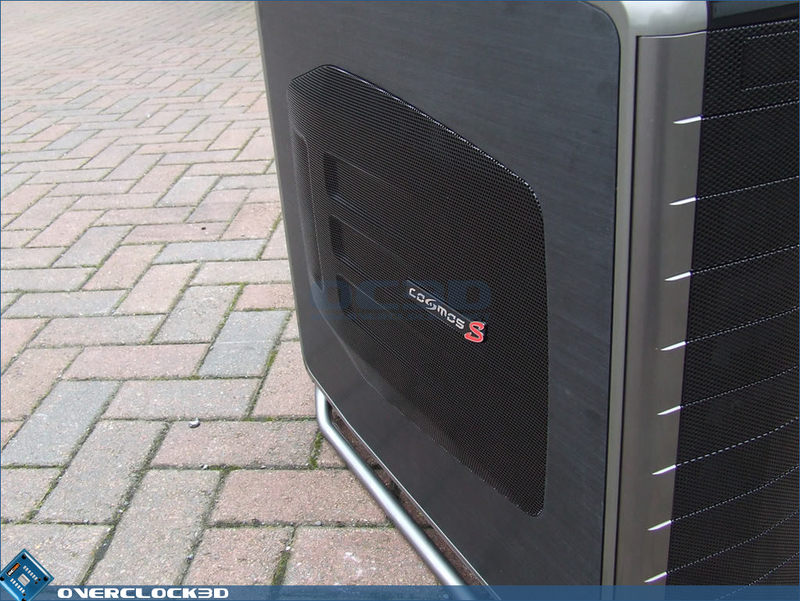 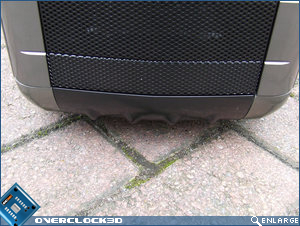 While the back of the Cosmos S is fairly bog standard, Cooler Master have placed two holes above the motherboard area to facilitate the use of an external radiator. 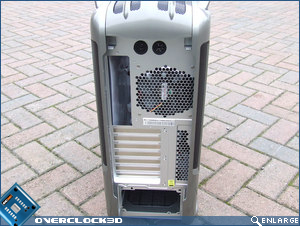 Obviously the question on all watercooling enthusiasts minds at this point is "can it take 1/2" ID tubing? 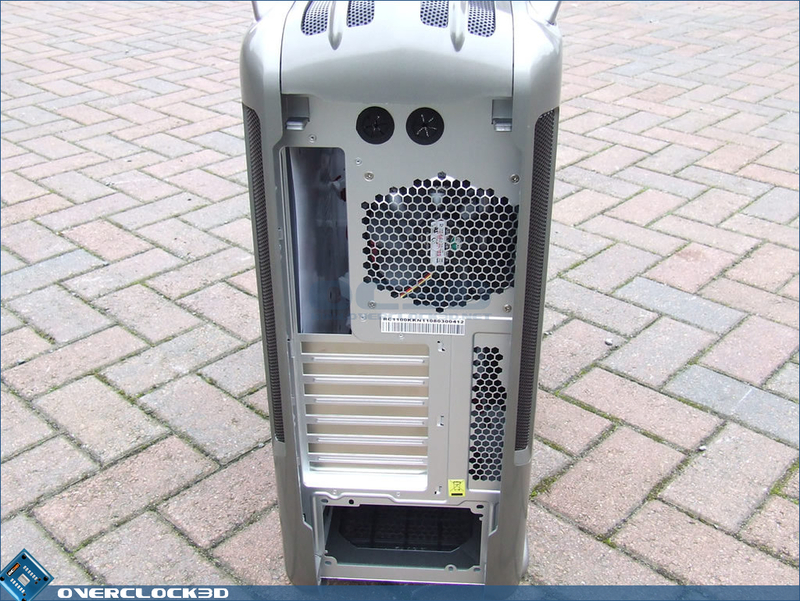 "....and yes it fits perfectly.